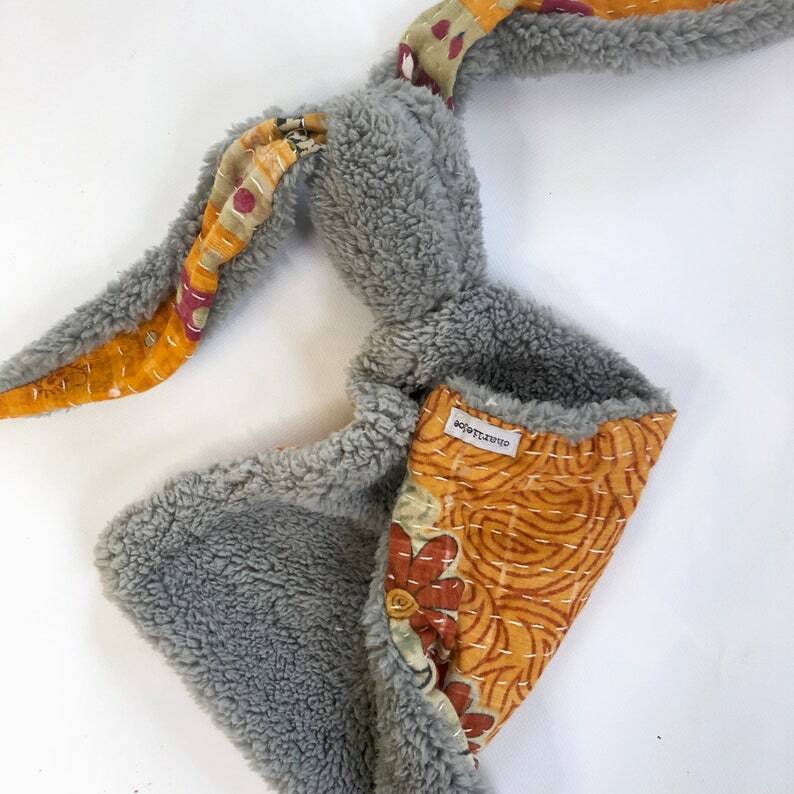 This beautifully handmade Lovey features a 12x12 blanket square made from the softest grey minky cuddle on one side and kantha fabric on the other. The bunny head is stuffed with recycled fabric from our shop as part of our 'no scrap left behind' effort. Each piece is handmade and entirely unique just like your babe. Please note that vintage Kantha is unlike newly manufactured fabric. Small discrepancies in the fabric, such as discolorations or thinner patches or minuscule holes are what make vintage Kantha beautiful and unique. If you prefer a piece without these variations, please make a note with your order.